This was a wonderful writing book and compelling to read which in every page by page that will make you are wondering what is all the answer that we had been thinking about all the struggle in your life and trying to find the way out and what is the right the direction we can choose. This book is written for people who want to quite but so they won't. And for people who want to of another level...So they can. I highly recommend to everyone must to read this book. " I received this book free from Revell Reads Blog Tour Program for this review". 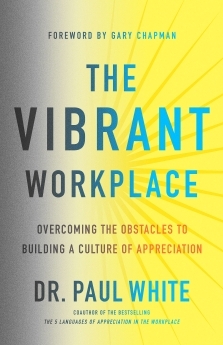 This book was wonderful writing and compelling to read with 4 section in contents make its easy to understand step by step like, How Management Can create Obstacles, When Workplace Culture Stymies Growth, The Challenge of Differences, and Employee Characteristics that Create Problems. The Vibrant workplace this is was happening all of the organizations and all the real working place and mostly all the people like employees and employer doesn't know how to dealing or solve the problem. This book offering and provides tool that create deeply for making the way to connect with and empower to your people from company to grow and create caring relationships. I highly recommend to everyone must to read this book. " I received a copy of this book from the publisher for the purpose of this review "
This book was wonderful writing and compelling to read giving us an adventure to finding more of knowledge of the bible story of the Bleeding Woman whom Jesus healed is the backdrop for this treasure of a book. 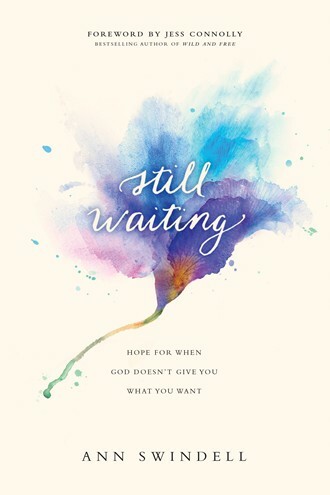 This book also offers wisdom and hope in an area I have long struggled to overcome: the ability to wait well. The Author Ann lovingly guide us through Scripture and come alongside us with her own story as we go on a journey to learn what it means to wait in a way that isn't lazy but provides an open space in our hearts and schedules for God to meet us in the midst of the unknown. This is will be worth for all to wait. 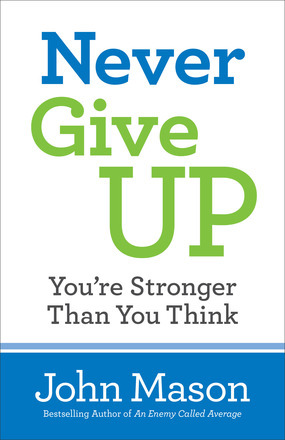 We all struggles and faith same as the author of this book together with a bible story will give us a way for more hope for our respective challenges to spite of our circumstance. Ann Swindell is an author and a speaker who has written for CT Woman, Relevant, Deeply Rooted, Darling, the Gospel Coalition, and (in) courage. She holds an MA in writing and an MFA in creative nonfiction writing, and she makes her home in the Midwest with her husband and daughter. I highly recommend to everyone must to read this book. " I received a complimentary copy of the book for review from Tyndale House "
This book was a wonderful writing and compelling to read developing of hope and love in adventure from one place to the other place this is truly must to read again and again with the love story inside The EBB TIDE about Sallie Riehl has dreamed of traveling at least one before settling down to join church, so she is trilled at an unexpected summer opportunity to nanny in Cape May for a well to do family. However, saying even a temporary good-bye to Paradise Township means forging baptism another year, as well as leaving behind a would be beau. 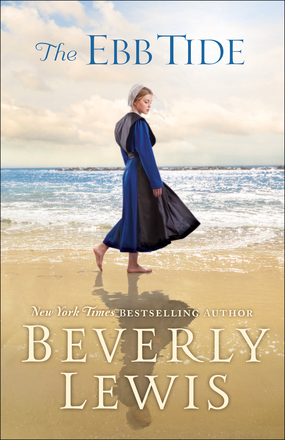 Yet the weeks in Cape May soon prove unforgettable as Sallie meets s Mennonite young man whose friendship she quickly begins to cherish. Has she been to hasty with her promises, or will she only find what her heart is longing for back home? I highly recommend to everyone must to read this book. " I received complementary of the book for review from Bethany House "
This book was an incredible, wonderful, amazing and compelling to read with so much love inside this book that came from the love of the parent to the hard working of raising children and see they are growing become a good person. This story will give you more that just a book. It's will be the begging of the Magic of Motherhood this will be a hardest job ever for all the parent that had to be assistant, a chef, a cheerleader, a therapist, and a chauffeur all rolled into one person. 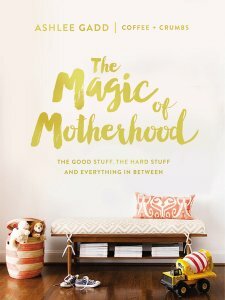 This book will full of stories that could have been written by every mother I know. You will see although mothering can feel lonely at times, this book is proof that we are all in this together. This book guiding way to discovery so many different, beautiful, incredible ways God walks us through the journey if motherhood. Though we often feel broken, incapable, or doubtful of our abilities to do the most important job on earth. The author of this book will showing us how to used all the equipment and tools that will helping all the parent and put word to word to every love in page to page inside this book. I highly recommend to everyone must to read this book. " I received this book free from the publisher through the BookLook Bloggers in exchange for this review "